US 42 to Wetherington Blvd to Scarlet way to R on Jackson Ct to R on Stonewall. Featuring main floor, step-free living with an oversized master & master bath, study, half bath, laundry room and a sunny breakfast nook off of the kitchen leading to a covered deck. 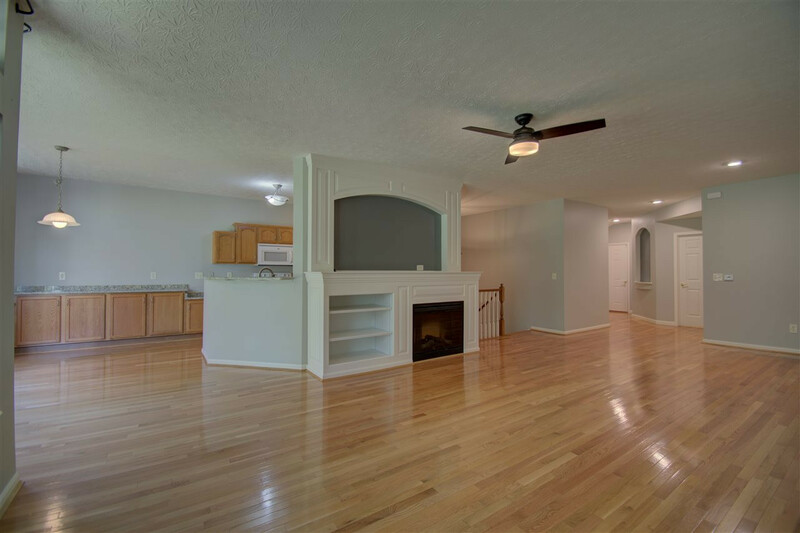 Newer wood floors on main level and appliances. The finished lower level includes a family room, wet bar, game room, second bedroom, full bath, walkout to patio area and a vast storage room. The porch covered entrance provides privacy. All of this with an attached 2-car garage and tranquil wooded view.